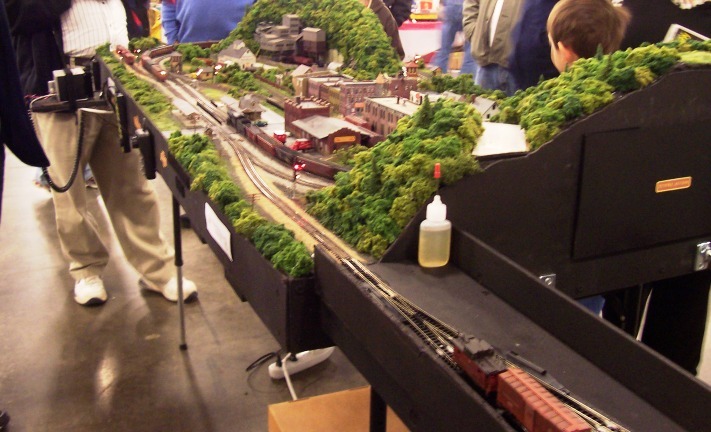 We attended the annual train show at the NC State Fair Grounds located in the Exhibition Hall and it was another fun railroad event. Actually got to stick around a bit longer than usual, about 3 hours and took many photos and a few movies too. We arrived at around noon and started making our way around the tables; I bought a few railroad signs for the train room door. 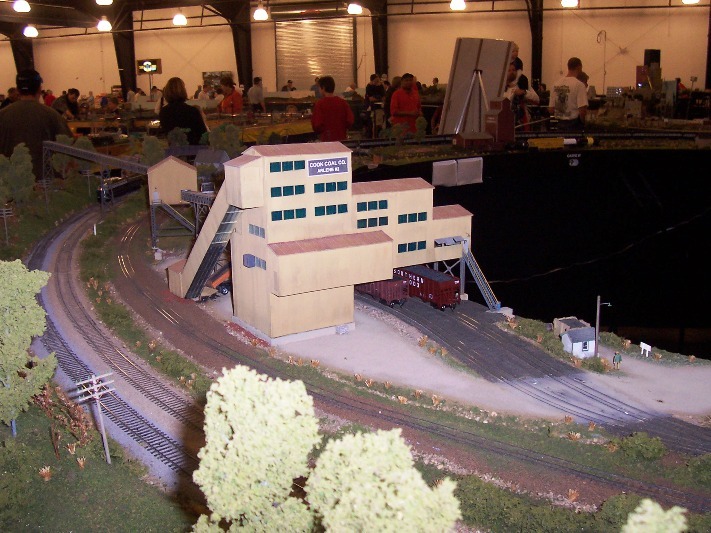 But the first real treat was when we found ourselves at Dave Vollmer's N scale layout display. Dave has added a small staging yard to one end of the layout. This N scale layout is set up on a hallow core door and is very portable, he has also just added the signaling electronics that mimic the prototype. 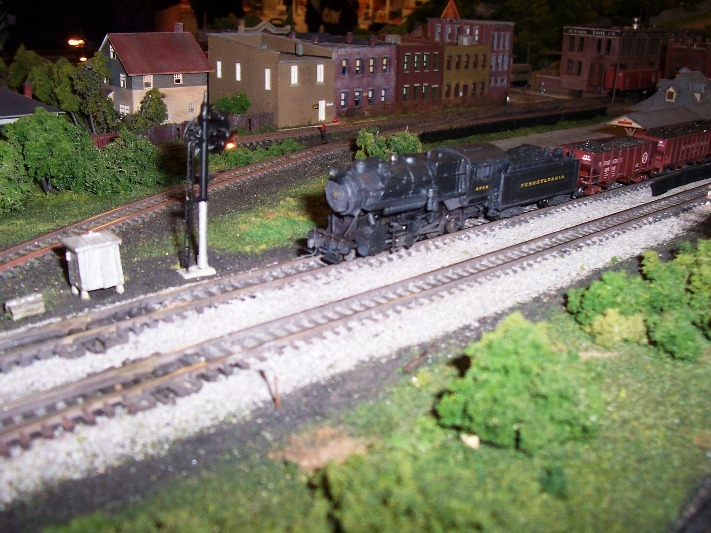 His layout is based on the Pennsy Railroad in the 1950's and features the coal, freight, and passenger traffic of that era. 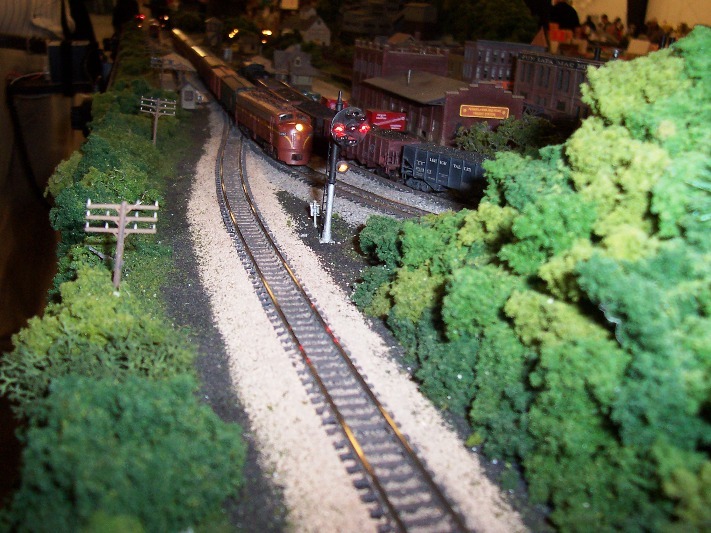 Here are a few more photos of Dave's N scale layout. Also took a few videos of Dave's layout and those can be viewed on the Piedmont Division YouTube Channel: Part 1: http://www.youtube.com/watch?v=cqPu5W56nXM Part 2: http://www.youtube.com/watch?v=tXTBe-577xw Toured a few more tables and then found Kim at Train Buddy and his display tables. 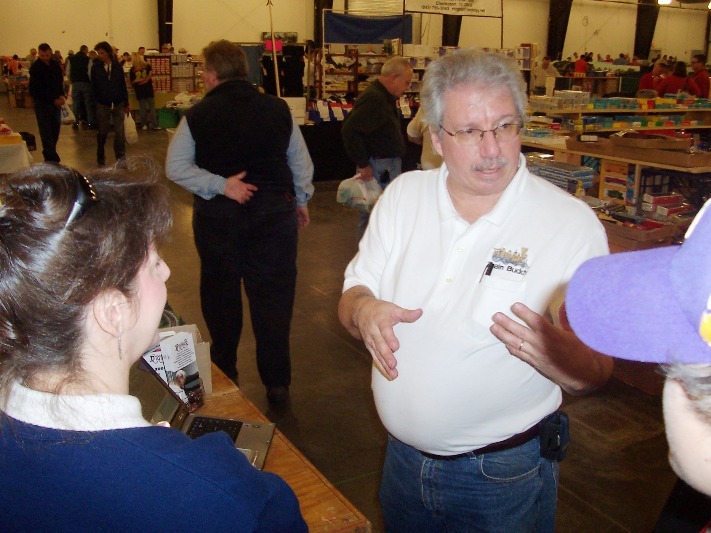 Kim gave us a talk on all his proposed inventions, such as a battery that will hold 10X the storage capacity of current technology as well as trends in nanotechnology and robotics and how these will influence the model railroad hobby now and into the future. I also got a lesson on track cleaning and the suggested liquid that he sells and happend to have on hand, I had to buy a bottle. Also purchased a new DCC USB interface for a computerized layout. 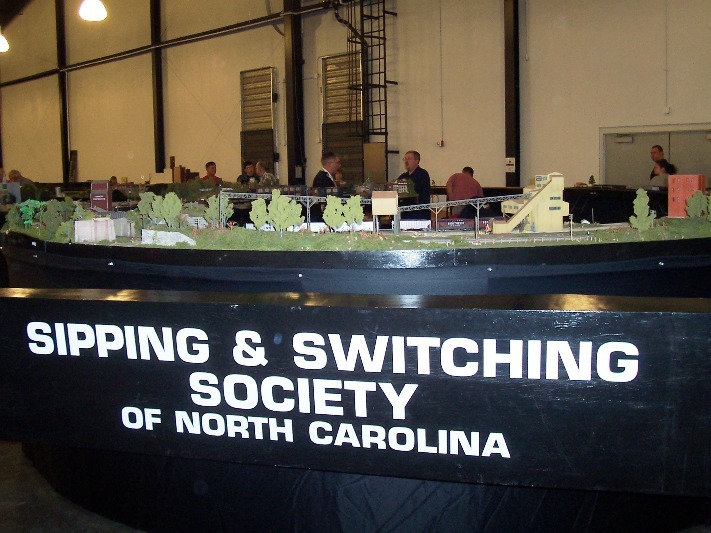 Toured a few more tables and then viewed the Sipping and Switching Society HO scale modular layout on display at the back of the hall. This was the largest modular layout I have ever seen, here are just a few photos and videos of this massive layout. And a few videos on the Piedmont Division YouTube Channel: Part 1: http://www.youtube.com/watch?v=o1Pk83GAcbY Part 2: http://www.youtube.com/watch?v=pGRUDUc-Cvk Part 3: http://www.youtube.com/watch?v=5m9QXB7vKW0 Part 4: http://www.youtube.com/watch?v=bP1i-z3oKMM More photos from this event can be viewed at the Photos Part VII page in the Piedmont Division web site.